Since Microsoft removed WEI out of their latest OS (Windows 10) , we are no long able to use it . Waluigifan (i7 6700k @ 4.2GHz + GTX 1080) : Desktop 135% , Gaming 138% , Workstation 95% . zurginator (i7 6700k stock speed + GTX Titan XP) : Desktop 100% , Gaming 147% , Workstation 83% . KHg8m3r (Xeon 1650v3 @ 3.5 -> 3.8GHz + GTX 1080) : Desktop 98% , Gaming 127% , Workstation 87% . Helios (i7 4790k stock speed + GTX 980Ti ) : Desktop 91% , Gaming 108% , Workstation 66% . rlaugh0095 (i7 4790k @ 4.0 -> 4.4GHz + GTX 1070) : Desktop 82% , Gaming 102% , Workstation 63% . Silent Gunner (i5 4690k @ 4.3GHz + GTX 1060) : Desktop 92% , Gaming 89% , Workstation 58% . AnyOldName3 (i5 4670k @ 4.6GHz + GTX 770) : Desktop 99% , Gaming 66% , Workstation 58% . ExtremeDude2 (i5 6600k @ stock speed + GTX 970) : Desktop 76% , Gaming 79% , Workstation 50% . Silent Gunner (i5 4690k @ 4.3GHz + GTX 960) : Desktop 90% , Gaming 58% , Workstation 57% . Kurausukun (i7 4720HQ stock speed + GTX 980M) : Desktop 74% , Gaming ??? (Probably 60%) , Workstation 49% . teh_speleegn_polease (i5 4670k @ 4.0 GHz + GTX 680) : Desktop: 65%, Gaming: 53%, Workstation: 43%. Dacotaco (i5 4690 @ 3.5 -> 3.9GHz + GTX 650Ti) : Desktop: 79%, Gaming: 31%, Workstation: 43%. Thought I'd give it a try being new. Pretty much as I expected. Decided to try for worst PC with my crappy old AMD laptop. However, it seems to be running fine to me; leaving the fact that it can run Dolphin games at well over 4X IR aside, it can run GTA V at 1080p with pretty high settings and only occasionally drop below 60fps, which is pretty much the performance I expected out of it. Does anyone have any idea why it reports my GPU is underperforming? Should I check something, or is it just the benchmarking software not working correctly? 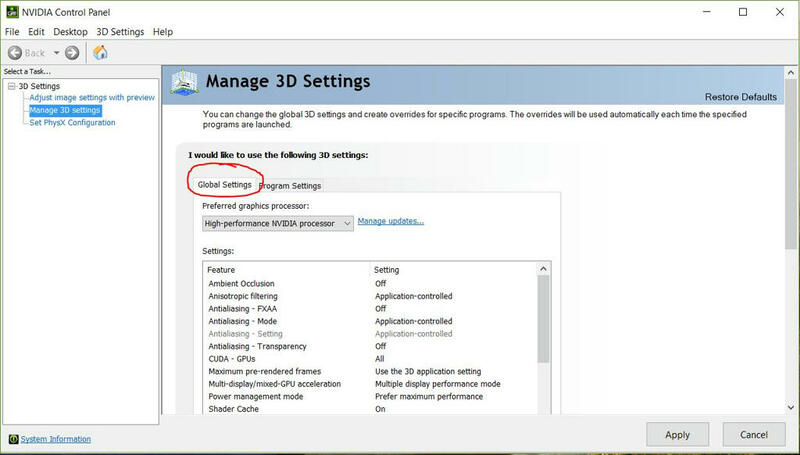 Make sure you enable "prefer maximum performance" via Nvidia CP - global settings (not program settings) or else your GPU will be underclocked and GPU boost will be disabled . "Current Clock" was at 1126MHz when I first opened the program, but it dropped down to 405 after a few seconds. I haven't touched anything in the overclocking section. On that note, though it's somewhat unrelated, do you think I should? Would I see significant gains in performance, and how much would it affect the life of my card? Quote: "Current Clock" was at 1126MHz when I first opened the program, but it dropped down to 405 after a few seconds. I haven't touched anything in the overclocking section. On that note, though it's somewhat unrelated, do you think I should? Would I see significant gains in performance, and how much would it affect the life of my card? Alright, so it seems like the benchmarking software just doesn't know what it's talking about. Thanks for the information.